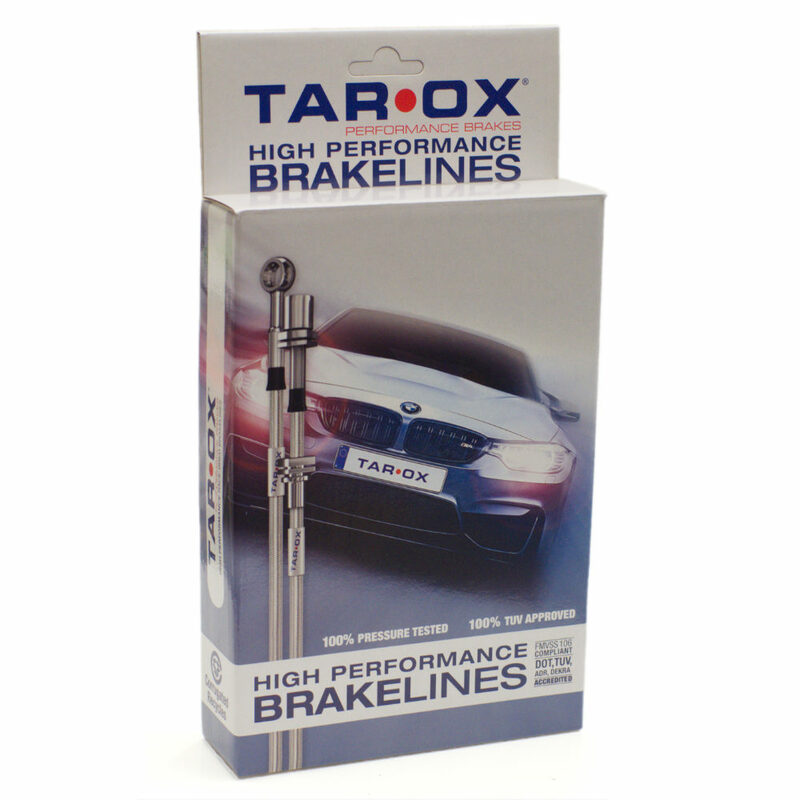 Our braided brake hoses are manufactured by hand and like all products in the TAROX range they’re produced from the finest quality European materials. Constructed from the highest quality PTFE flexible hose and stainless steel over braid both protected by a weather resistant PVC outer coating. All TAROX braided lines feature fully swaged stainless steel fittings and anti-whip collars to provide years of reliable performance. Each kit is designed to be a direct replacement for the OE parts and tailored specifically for each application. They include any necessary fittings required for fitting and come with a lifetime warranty for the original purchaser. Following construction, every single TAROX braided hose is individually pressure tested to ensure high performance and longevity. Upgrading to braided brake hoses will provide you with a firmer pedal by reducing the amount of flex compared to a standard rubber hose. This results in a more immediate pedal response which is ideal for spirited driving and track use. Our hoses are compatible with both DOT4 and DOT5.1 specification fluids and our application list spans over 750 vehicles. For the finishing touch, use with TAROX RoadRace brake fluid to maximise your vehicles braking system performance. We recommend only qualified persons carry out servicing work on safety critical vehicle systems such as brakes. Improper fitting and/or adjustment could lead to brake pressure loss or even complete brake failure. If the below search returns no results please get in touch with your requirements.